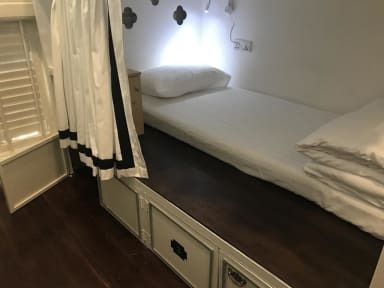 BaobaBed Hostel Chinatown i Yangon, Myanmar: Reservér nu! 24/7 Reception is available for your service. The staff are always here to help you. They are trained and knowledgeable, whether you need tips for sightseeing, bus and boat bookings, or recommendations around the wonderful city of Yangon. Complimentary breakfast is included as well. Have coffee and tea all day for free on us. If you haven’t had tea in Myanmar, make sure you do; It is a delicacy. Also enjoy a cigar from Myanmar for free. 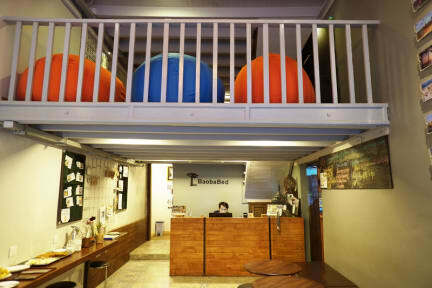 Find another hostel that offers that.